Peter Steinfels is a Fordham University professor and was previously co-director of the Fordham Center on Religion and Culture. He was a New York Times ethics columnist until January 2010 and a senior religion correspondent from 1988 to 1997. In addition to expertise in the intersection of religion and contemporary culture, his areas of interest include bioethics, French history, and healthcare. 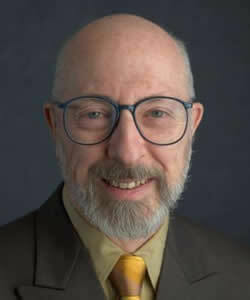 Steinfels' publications include A People Adrift: The Crisis of the Roman Catholic Church in America (2003) and Neoconservatives: The Men Who Are Changing America's Politics (1979); he has also published frequently in journals like The New Republic. He has held positions at Georgetown University, the University of Notre Dame, and the University of Dayton, served as editor of the journal Commonweal, and been a consultant for the PBS series Religious and Ethics Newsweekly. Steinfels holds a Ph.D. from Columbia University.